Product #21933 | SKU SHM-SD2 | 0.0 (no ratings yet) Thanks for your rating! 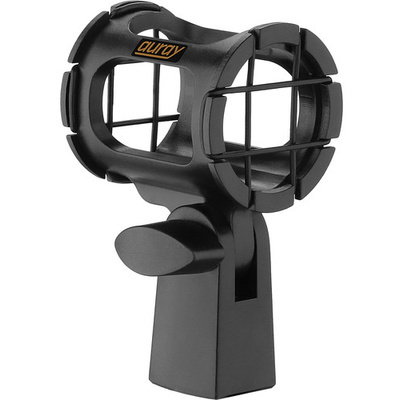 Keeping vibrations and unwanted noise from your mic stand or boompole from reaching your small diaphragm microphone, the SHM-SD2 Suspension Shockmount for Small Diaphragm Microphones from Auray isolates your mic via its heavy-duty elastic bands. A locking knob allows for precise placement, and the shockmount features a 5/8"-27 thread for connecting to most microphone stands. A 3/8"-16 adapter is included for further compatibility, including boompoles.